Spy photographers have already caught a brief look at the car under camouflage but now Bentley has revealed a sketch of the new Flying Spur saloon’s overall shape alongside an image of its new ‘flying B’ bonnet ornament, a feature previously seen exclusively on the Mulsanne. The brand has said further details will surface later this year. The pictures we’ve already snapped of the next generation Bentley Flying Spur as it underwent winter testing last year give a fair bit away. Despite its black camouflage, you can make out major elements of the big saloon’s design, which is heavily influenced by the new Bentley Continental GT. 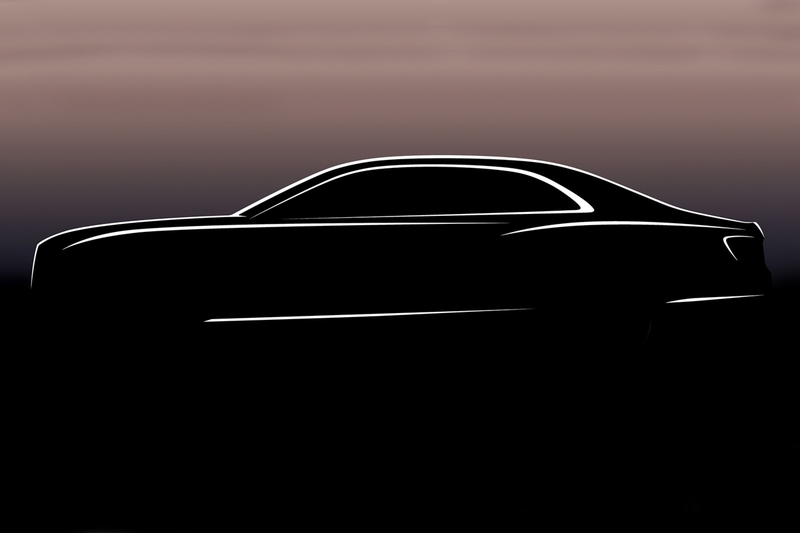 The British manufacturer is yet to reveal when we can expect its saloon in production-ready form, but it could arrive by the year’s end. Unsurprisingly, the wheelbase has been stretched to accommodate the rear set of doors and necessary extra legroom sought by those in the luxury limousine market. Moving around the back there are a few subtle changes over the outgoing FlyingSpur that we can glean from the images. Surprisingly, the rear-lights look similar to the those fitted to the original Flying Spur, taller and squarer in shape, as opposed to the slimmer items found on the second generation model – although it could just be the disguise distorting our view. Elsewhere, the number plate has been repositioned from the boot to the bumper on the prototype but otherwise, the twin-exit exhaust setup has been retained. The new Flying Spur will sit on the MSB-F platform co-developed by Bentley and Porsche. It already underpins the Panamera and new Continental GT and could inform the engine line-up, too. The outgoing Flying Spur is available with a V8 or W12 engine so the forthcoming model is likely to follow suit, borrowing the Porsche Panamera’s V8 and the GT’s W12. However, Bentley could offer a dieseltoo, possibly the one which is currently found in the Bentayga.